Thank you for your participation and support of the Avalon Park Foundation, a non-profit 501c3 organization. Proceeds from this event will help support programs and services that enable us to protect stable neighborhoods and community organizations, as well as aid underprivileged ones in Avalon Park and the surrounding neighborhoods in the area. Kids Under 7 May Participate in a stroller, however, they will not receive a medal. Packet Pick-Up-SOHO Office April 18-19, 2019 10 a.m. - 5 p.m. The race route starts in Avalon Town Park, at the intersection of Avalon Park Blvd and Cat's Claw Ln, in front of Bay Ridge Sushi restaurant. 3680 Avalon Park E Blvd, Orlando, FL 32828. 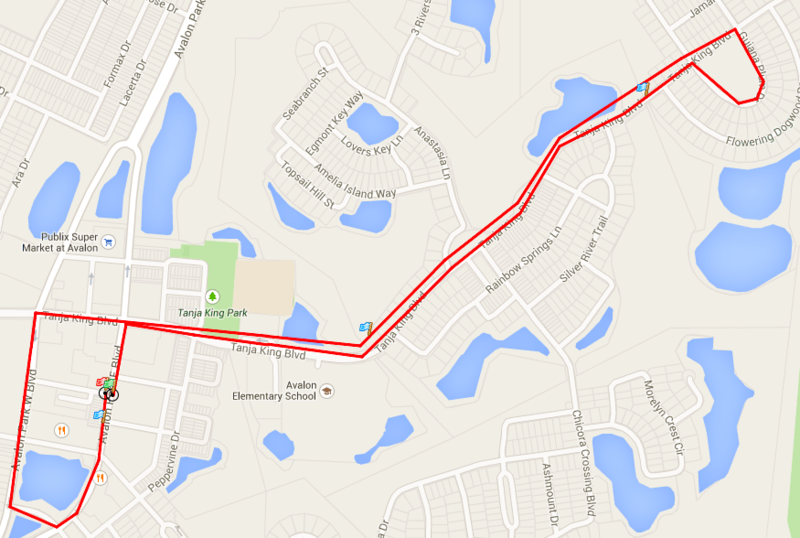 The race will continue down Tanja King Blvd, and will end back in Avalon Town Park.